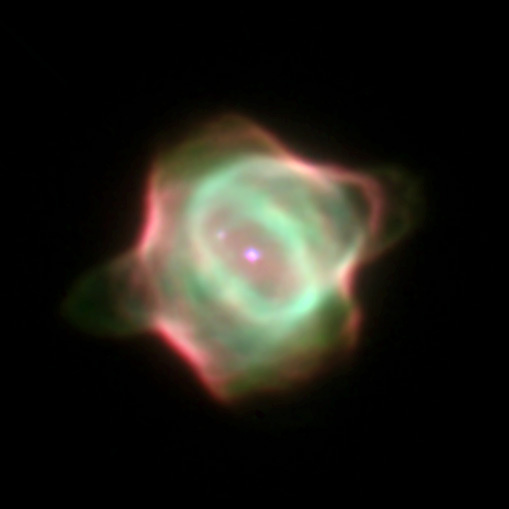 This Wide Field and Planetary Camera 2image captures the infancy of the Stingray nebula (Hen-1357), the youngest known planetary nebula. In this image, the bright central star is in the middle of the green ring of gas. Its companion star is diagonally above it at 10 o'clock. A spur of gas (green) is forming a faint bridge to the companion star due to gravitational attraction. Position (Dec): -59° 29' 23.27"